Needless to say that its my next book. To say that I love family sagas would be an understatement. Plantagenets, Pallisers, Cazalets, Yorkists, Stuarts (naturally! ), Mehra, Princes of Gwynedd – name any surname you like, if there is a book about them then I have read it or have it on my pile or I am waiting to hear about it. I love the internecine squabbles, the paterfamilias, the matriarchs, the lot. 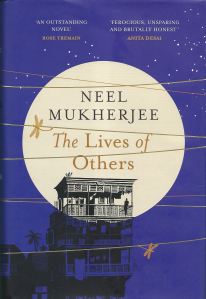 So imagine my joy when I started to read The Lives of Others [not to be confused by the book of the film] by Neel Mukherjee.